The Alfred P. Sloan Foundation has awarded a Sloan Research Fellowship in computer science to Cormac Flanagan, assistant professor of computer science at UCSC. Flanagan, whose research focuses on new techniques for ferreting out the bugs in computer software, is among 116 young scientists, mathematicians, and economists selected this year to receive the prestigious fellowships. The Sloan Research Fellowships are intended to provide crucial and flexible funds to outstanding young researchers early in their academic careers. They include a grant of $45,000 that provides largely unrestricted support for research. The primary goal of Flanagan's research is to develop tools for finding software defects and ensuring software reliability. According to a recent estimate from the National Institute of Standards and Technology, software defects cost the U.S. economy about $60 billion annually. "This is an issue that is just crying out for more research," Flanagan said. One area of software validation where Flanagan has made significant contributions is in addressing the challenges posed by computer systems that run multiple operations simultaneously. "Multithreaded" software in which different parts of a program are executed concurrently is increasingly common, but programmers must be careful to ensure that all the threads can run at the same time without interfering with each other. "I sometimes tell people there are leprechauns running around inside the computer, and I make sure the leprechauns don't trip over one another," Flanagan said. Flanagan earned a B.S. in computer science and mathematics at University College Dublin and worked as a software engineer in Ireland for a year before coming to the United States for graduate school. He earned his M.S. and Ph.D. in computer science from Rice University and worked in Silicon Valley for six years as a principal research scientist at the Systems Research Center (now run by Hewlett-Packard). 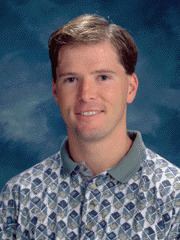 In 2003, Flanagan joined the Computer Science Department at UCSC, where he is part of a growing group of faculty conducting research in software engineering. "UCSC is increasingly prominent in the area of software engineering, and the growth of the engineering school as a whole has been remarkable. I think this award is illustrative of the growing recognition of this campus as a research powerhouse," Flanagan said. The Sloan Research Fellowship Program is one of the oldest fellowship programs in the country. It began in 1955 as a means of encouraging research by young scholars at a critical time in their careers when other support is difficult to obtain. The Alfred P. Sloan Foundation, a philanthropic nonprofit institution, was established in 1934 by Alfred P. Sloan Jr., then-president and chief executive officer of the General Motors Corporation.